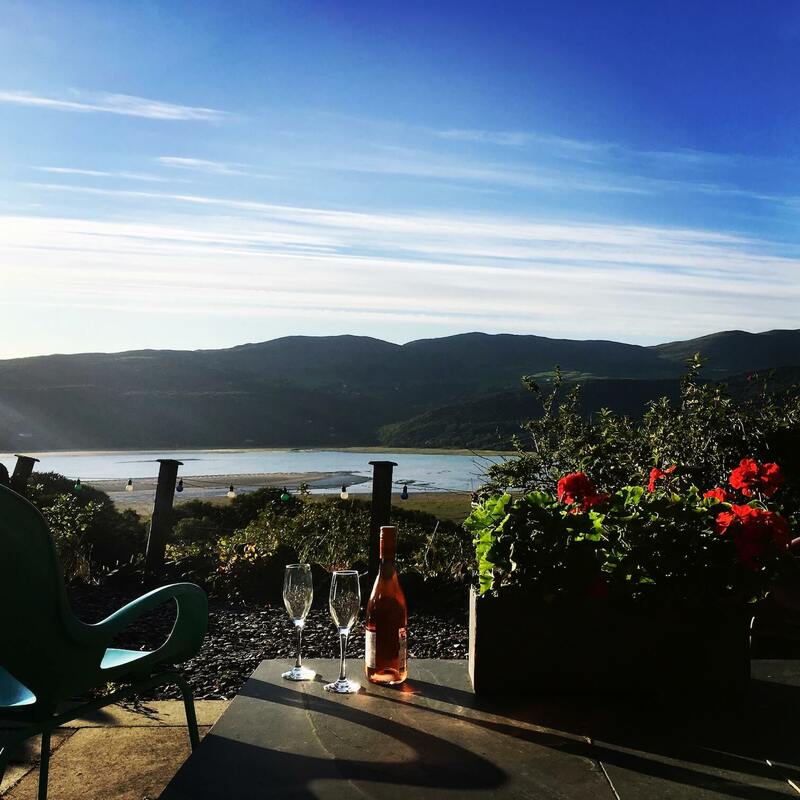 Graig Wen is an amazing holiday location for couples or a couple of mates in Snowdonia National Park. 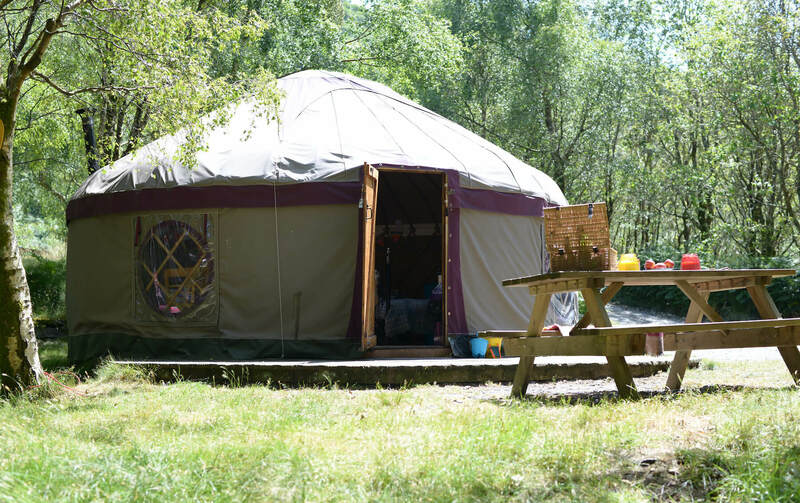 With a choice of accommodation spread across 45 acres of ancient mossy woods, meadows and natural terraces with jaw dropping views, you’ll find just the right corner for you. This is a truly special place to celebrate a birthday, anniversary, honeymoon, or as part of a romantic road trip. 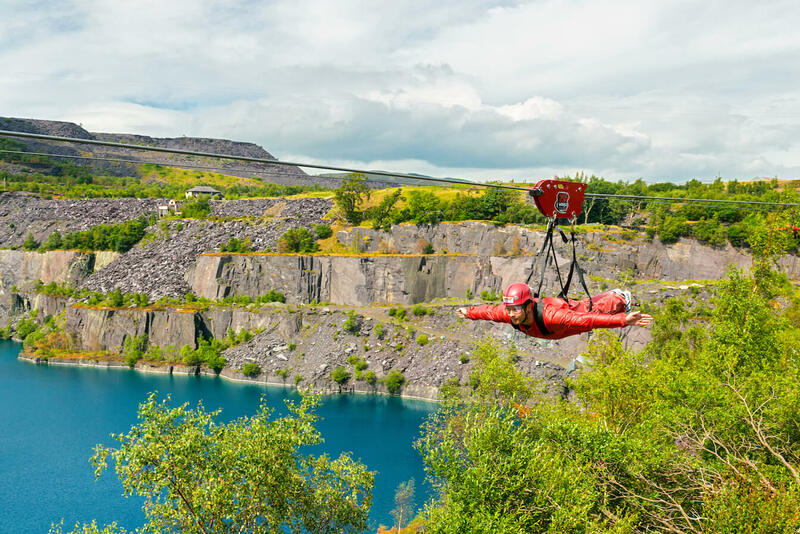 If you’re looking for adventure and a personal challenge, Cader Idris mountain range and Coed-y Brenin mountain bike centre are on the door step, with Snowdon and Zipworld activities under an hour’s easy drive away. 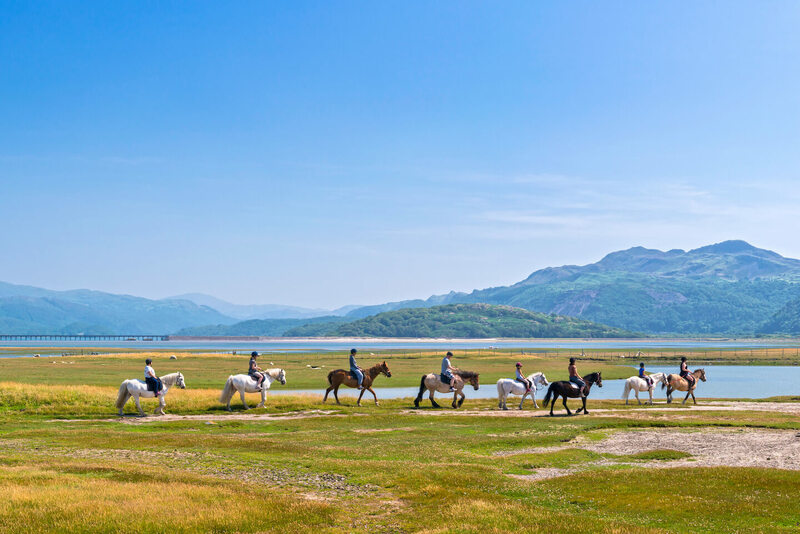 You can explore many other unique experiences with castles, steam trains, Portmerion, secret lakes and waterfalls to discover. 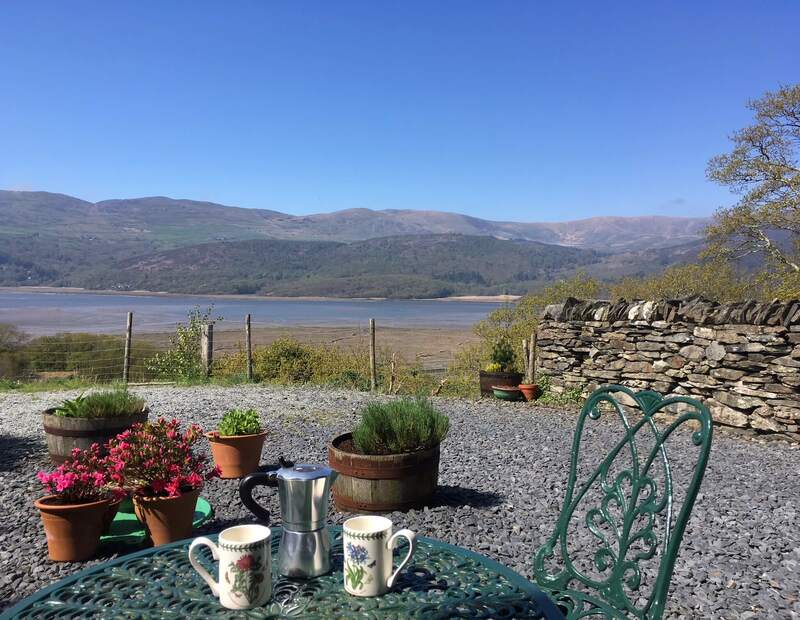 Historic market towns and picturesque Snowdonia villages with a fantastic range of restaurants, cafes, pubs and independent shops, are within 10 – 30 minutes drive. 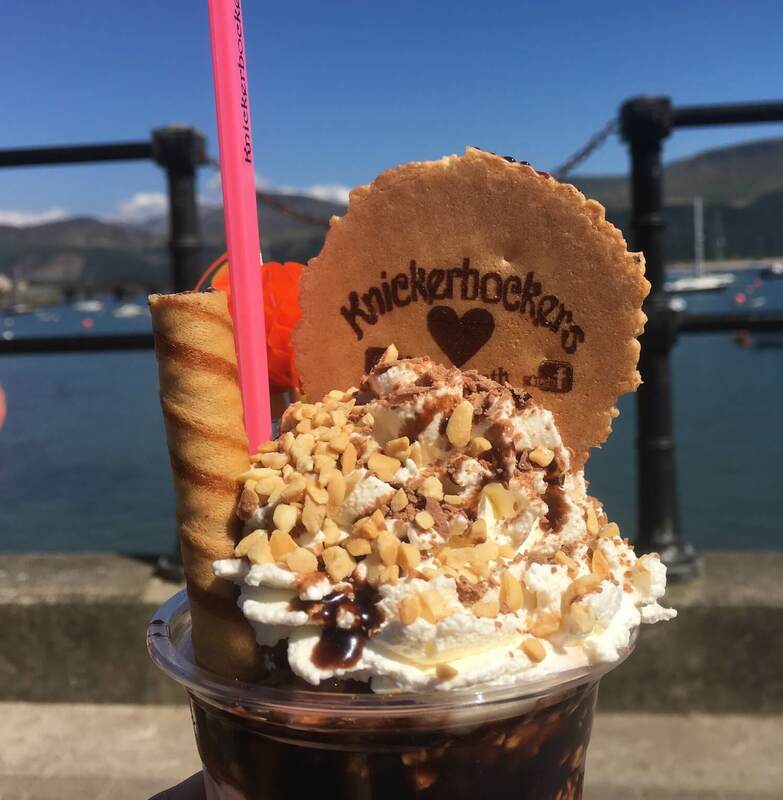 Spend a day out at the seaside enjoying fish and chips in Barmouth – walk or cycle from Graig Wen on the Mawddach Trail- or head into Dolgellau for awesome cake or a pint. 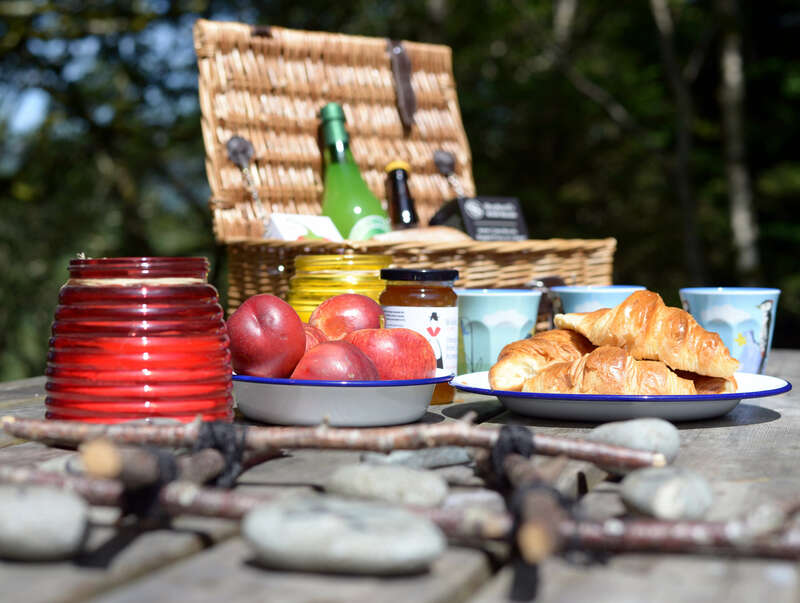 You can pre-order breakfast hampers and croissants from us and we sell local craft ales, award-winning Dyfi Gin, free range local eggs, bacon etc. 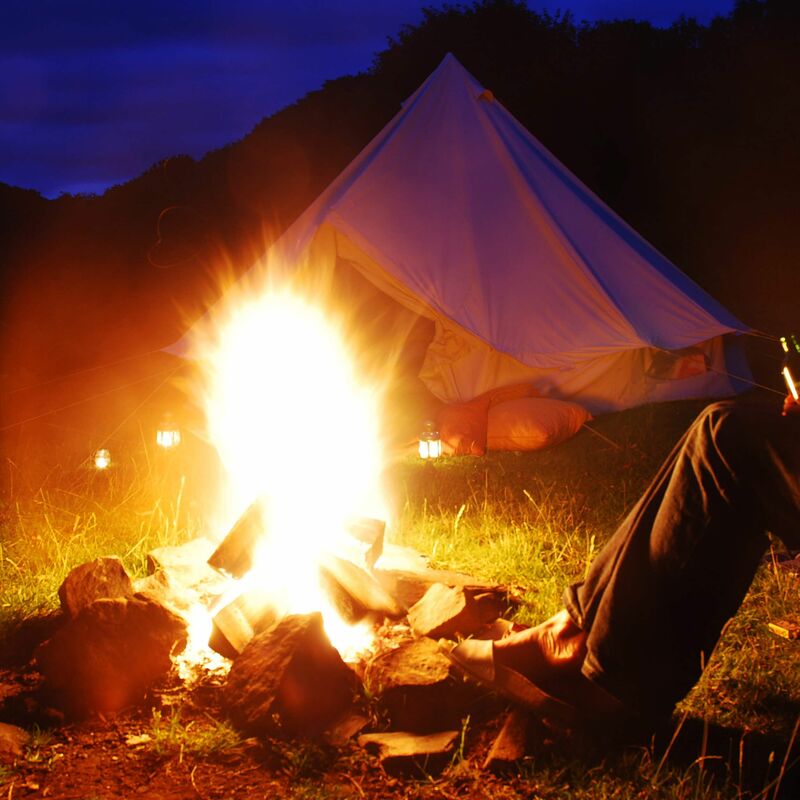 Whether you choose camping, glamping, a cottage or B & B , above all our site is tranquil with nature, dramatic scenery and wildlife all around you and dark night skies above. 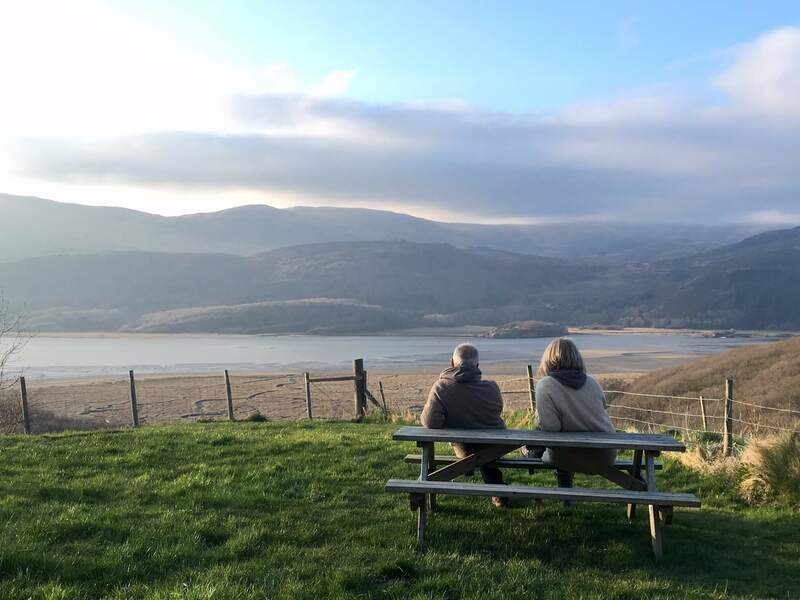 Take a sunset stroll to the Mawddach Estuary and look out for bats and owls. 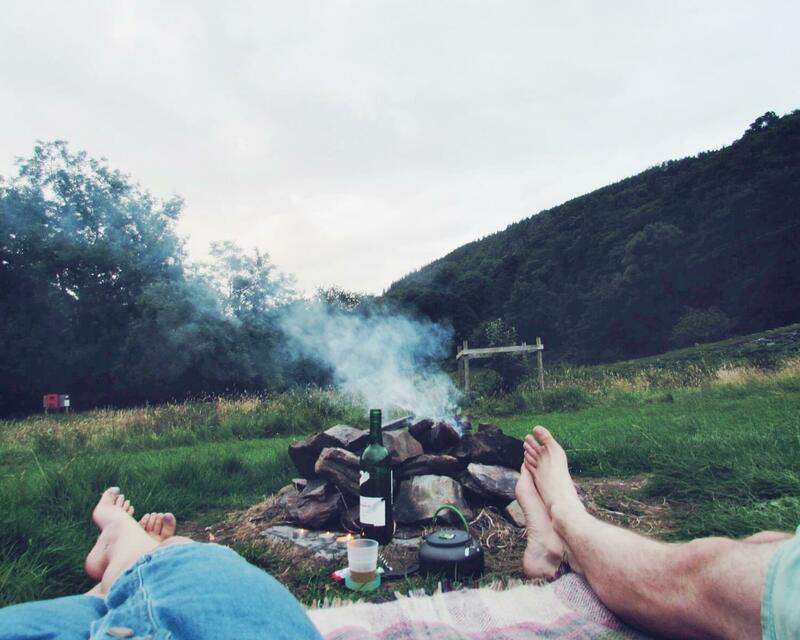 Sit by your camp fire and watch the stars come out. Breathe in lungfuls of fresh air, take a moment to be still, and let your stresses melt away. Want to unplug from the usual routine? 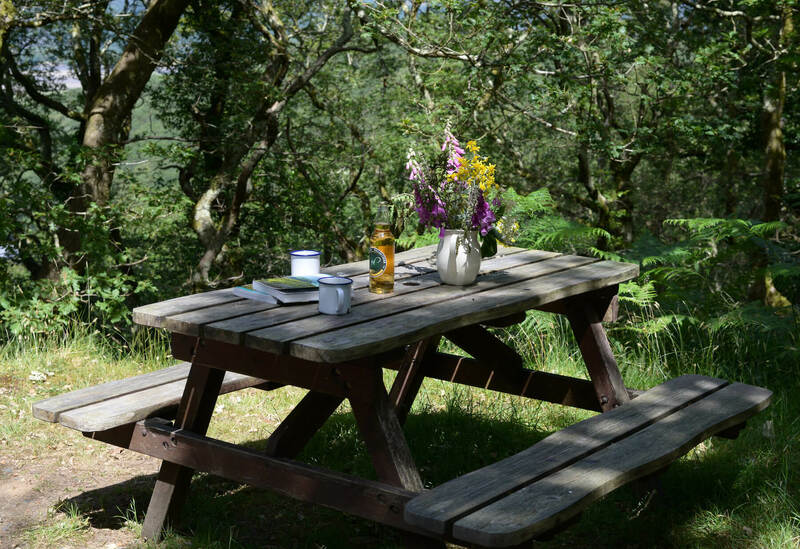 You can immerse yourself in the stunning natural surroundings at Graig Wen – but if you need to check in we have 4G across most of the site for most networks and free wifi near reception. 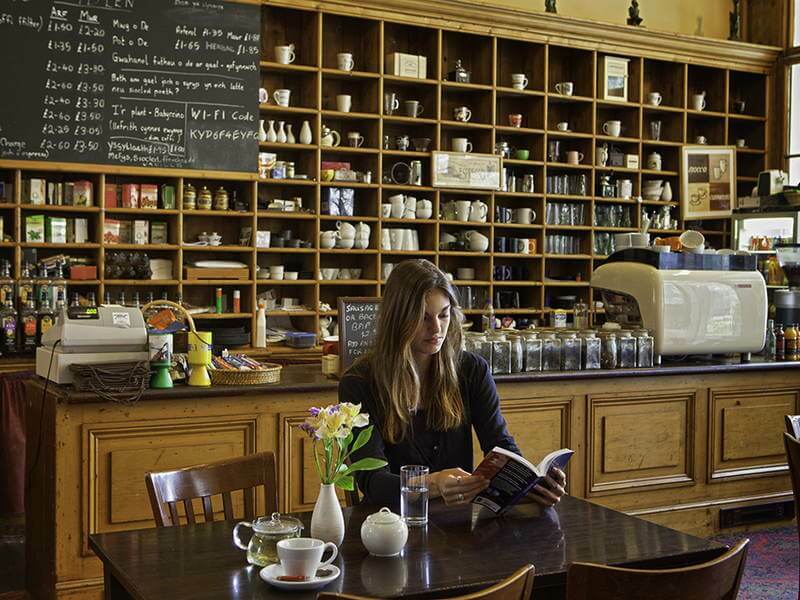 Surprisingly for our rural location, we are accessible by public transport. One incredibly scenic train journey from Birmingham brings you to our tiny local station a couple of miles away. 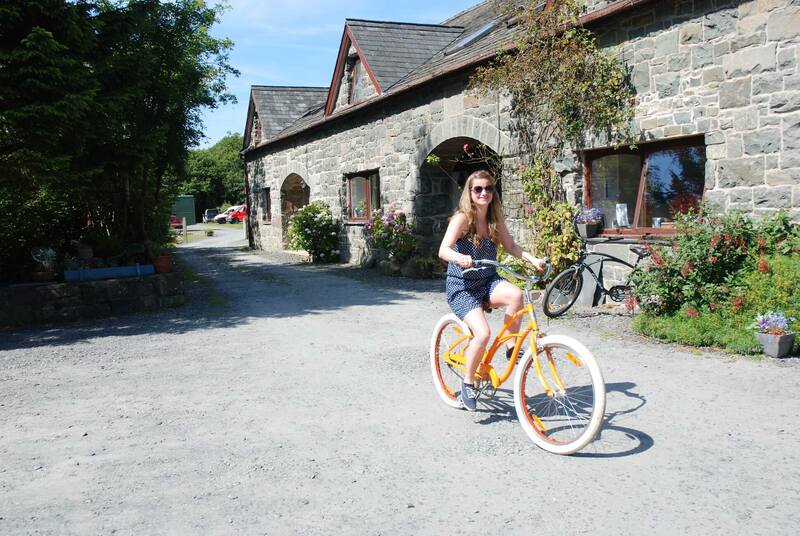 A bus stops outside our gate and will take you to Dolgellau for shops and cafes or the beach. 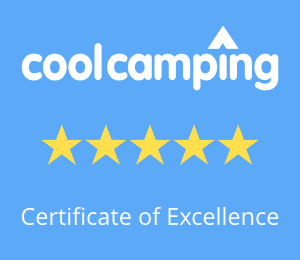 You’ll find a friendly welcome with our knowledgeable team on hand to offer tips on memorable walks, places to eat out etc but leaving you plenty of space to yourselves. 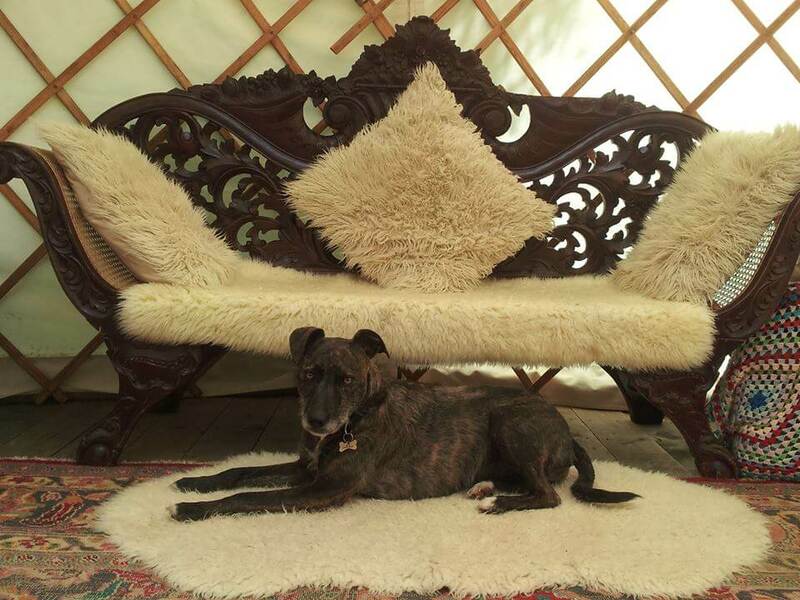 We love animals and well behaved dogs are welcome – we’ve even welcomed the odd cat and cockatoo! 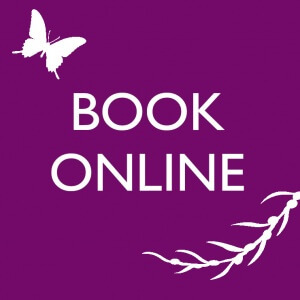 All our accommodation is suitable for couples, with short stays outside of peak season especially good value. If you like all your home comforts, our cottages offer plenty of space to relax; or stay in The Slate Shed B & B and we’ll spoil you with delicious breakfasts and deep bath tubs en suite. 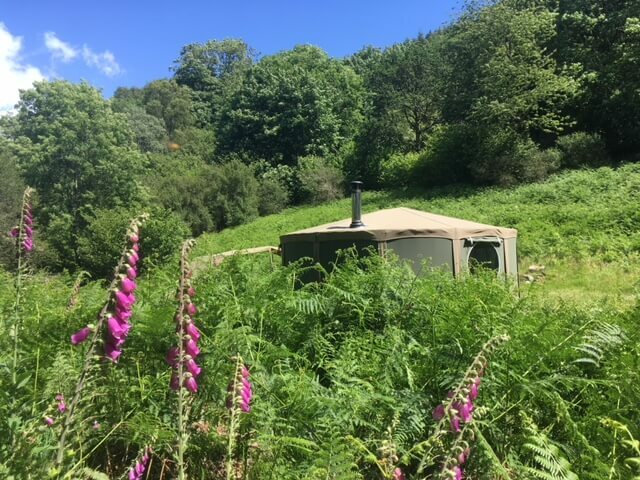 Idris yurt in its summer location offers total seclusion and privacy in a secret corner of our wilder camping fields. There’s plenty of indoor and outdoor space to hang out, especially good for couples bringing their dog. 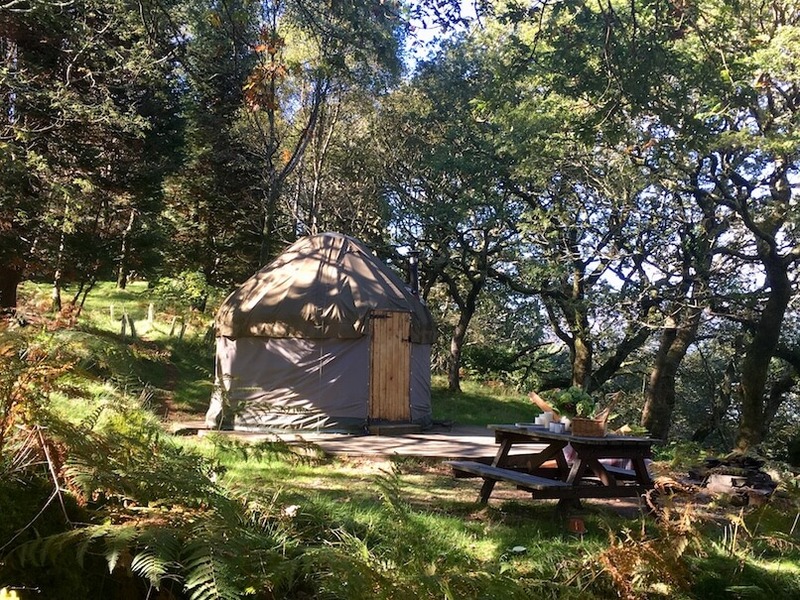 In winter, Idris pop-up close to the facilities of the touring van site which makes it a convenient base for an adventurous experience in the colder months. 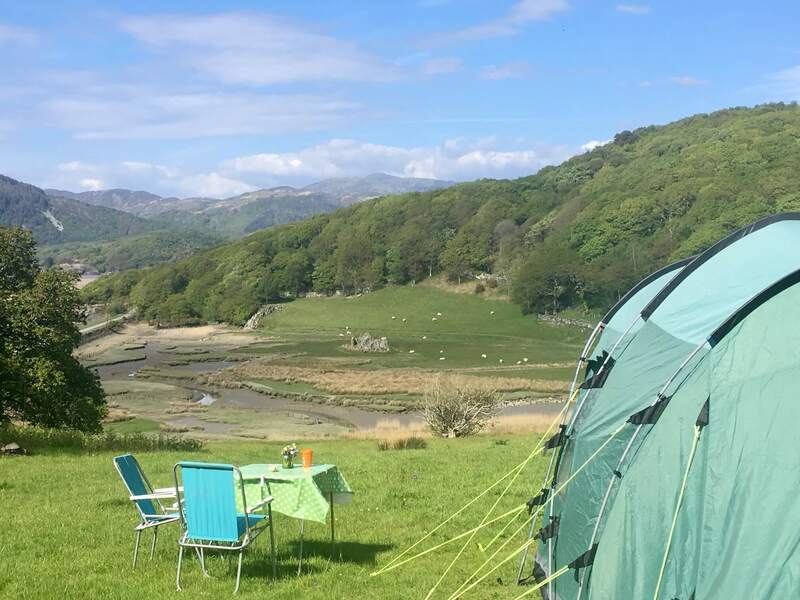 Tent camping on our wilder camping fields gives you loads of breathing space between pitches which have wonderful views. We tend to keep pitches on the Estuary Field just for adults and families with older children. Pitches on our touring van site are closer together but it’s a very quiet site. 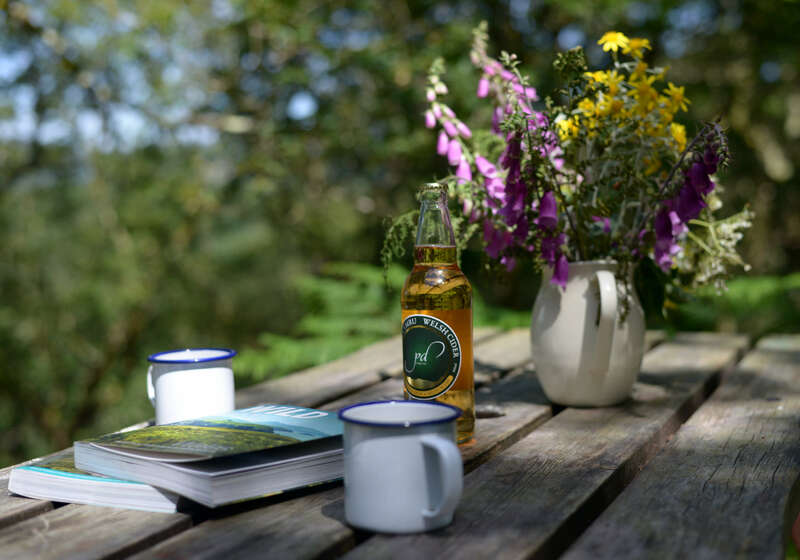 You can take your morning coffee to the communal area overlooking our much Instagrammed view, or retreat at night to the sheltered woodland camp fire for a beer and marshmallow toasting under fairy lights. 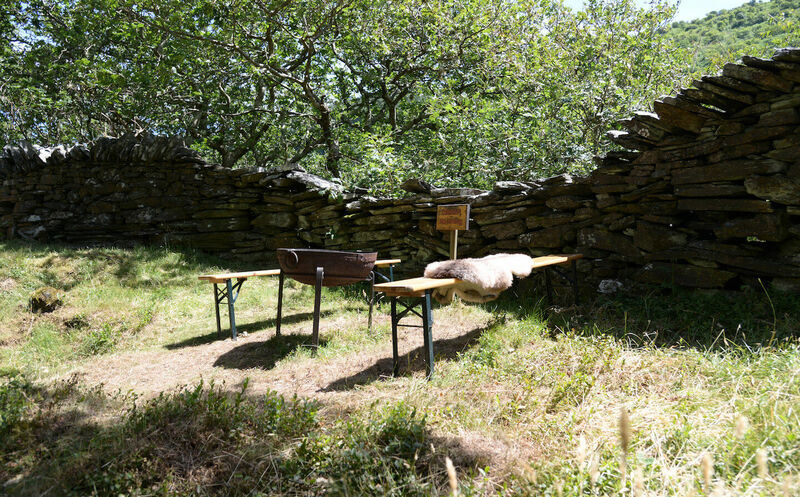 Finally, during the school holidays you’ll still find space and peace at Graig Wen because of the site lay out, though it’s bound to busier and a little livelier. 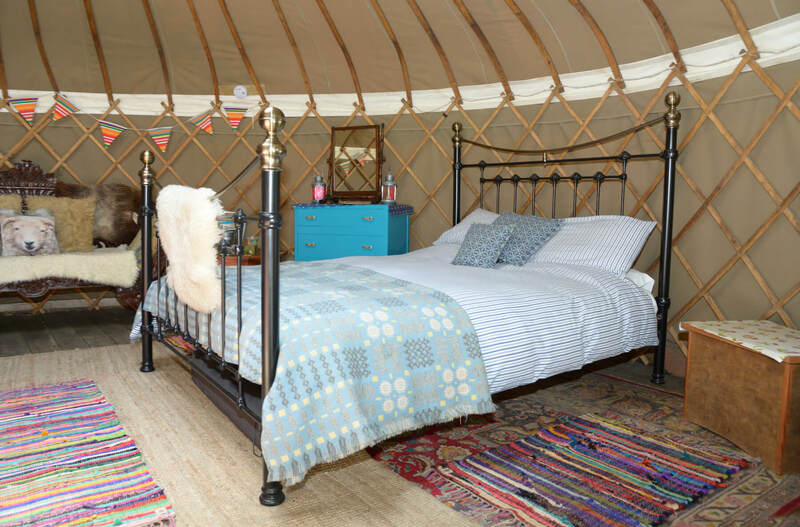 For couples at this time we recommend the yurt for two, Idris yurt, the bell tent, camping on our estuary field and The Slate Shed B&B.